Technology billionaire Elon Musk pursued a sale of struggling electric-car company Tesla to Google in 2013, according to an excerpt of a book published Monday by Bloomberg News. Beset by technical problems on its flagship Model S, Tesla in early 2013 was on the verge of bankruptcy, Bloomberg reporter Ashlee Vance said in an excerpt of his biography "Elon Musk: Tesla, SpaceX and the Quest for a Fantastic Future," which will be published May 19. In March 2013, Musk contacted Google co-founder Larry Page, according to the excerpt, which cited two people close to the situation. 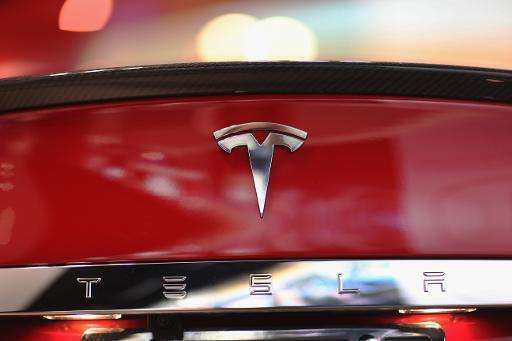 Musk proposed that Google buy Tesla for $6 billion and promise an additional $5 billion in factory expansions. Musk also demanded that he be permitted to run Tesla as a unit of Google for eight years, or until Tesla produced a third-generation car, the excerpt said. Page declined to comment on the matter, but told Vance that a "car company is pretty far from what Google knows." But Page, Vance reported, "accepted the overall proposal" and the two sides began negotiating specific points. Tesla's fortunes changed suddenly in May 2013 when the company reported its first profit after an intense drive overseen by Musk to address technical glitches yielded a sudden jump in Model S orders. The surprisingly good earnings sent Tesla shares rocketing higher and ended the Google negotiations. Musk "no longer needed a savior," Vance wrote. Last year, Tesla was at the center of rumors that Apple was considering an acquisition of the company. Google, which has pursued technology for a self-driving car, earlier this year, along with investment giant Fidelity, pumped $1 billion into SpaceX, Musk's private space-travel technology venture.